We’ve all fallen victim to the dreaded white-back-bronzed-body look because we haven’t been able to reach the area while self-tanning. But the beauty faux pas may be a thing of the past now – thanks to British tanning product Bronzie which came to the rescue of fake tanners last month. Their new tanning mitt ‘Got Your Back’ is revolutionising the DIY tanning industry. Retailing at £14.99 this product is taking the tanning world by storm and will not only tan your whole body streak free but will do it in half the time! No longer will you have to wait for someone to tan your back (my boyfriend’s just let out a sigh of relief), or struggle while attempting to do it yourself. 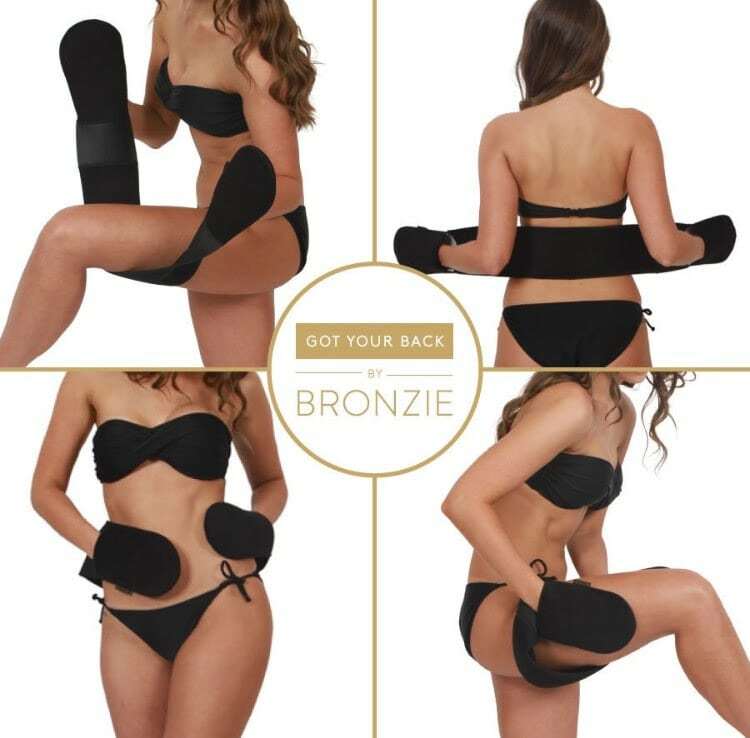 The ‘Got Your Back’ by Bronzie tanning mitt is a 3-in-1 beauty accessory – with two double-sided mitt ends and a middle section to access your hard-to-reach areas. No need for gloves, each mitt has a protective film to keep your hands tan and stain free. What’s more, it’s made from a luxurious double-sided velour material which extends to reach every part of your body – it’s also washable, reusable and works perfectly with any brand of fake tan. Georgette is editor of a press agency Talk to the Press in London.She works alongside the national newspapers and women's magazines in the UK and provides stories for daytime TV shows such as This Morning and Daybreak.She specialise in real life journalism and first person pieces on dating and relationships.